The National Auctioneers Foundation is preparing for its annual Fun Auction Extravaganza, an online-only auction through which the group raises money to support the auction industry. Proceeds from the auction also directly benefit educational programs offered by the National Auctioneers Association. The fourth annual, 2013 auction is scheduled from Jan. 29 through Feb. 7. Chairman of this year’s event, NAF Trustee Mike Jones, CAI, BAS, GPPA, is now in the process of engaging various NAA members and member groups in organizing their efforts toward the cause. For example, the NAF Online Auction Committee is seeking involvement from members of CAI classes, Hall of Fame members, auction school principals, state association leaders and others. In addition, the NAF encourages all NAA members to donate items and promote the auction to their buyers. The Fun Auction Extravaganza is open to the public, so NAA members and nonmembers from around the world have an opportunity to bid on and win items in support of the NAF and the NAA. The NAF has designed a button and provides a link to the auction that it is asking all NAA members to place on their respective business websites. 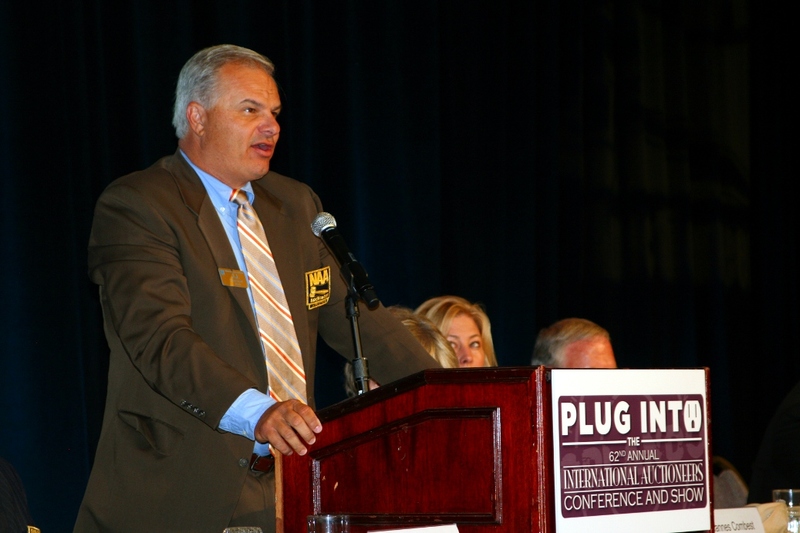 National Auctioneers Foundation Vice President Sandy Alderfer, CAI, MPPA, of Sanford Alderfer Auction Co. Inc., Hatfield, Pa., promotes the annual auction on his company’s website. The company places the button on its homepage, and it includes the event on its auction calendar. The auction calendar listing, which links to the NAF auction, makes it to the Alderfer Auction homepage about a week before the event goes live. Last year, more than 30 nonmembers registered to bid and 19 contributed $11,452 to the total revenue. The event brought in about $40,000, which was nearly $10,000 more than the year before. In 2012, members donated several trips, event tickets and collectibles. The auction included NASCAR tickets, a Hawaii Island retreat, a Louisiana swamp tour and a signed Leroy Van Dyke poster. To donate an item, the NAF makes a donor form available at NAFOnlineAuction.com. In addition to the aforementioned items, the NAF encourages donations of electronics, auction advertising packages, gift baskets, gift cards, auction experiences, airfare and tuition to educational events. Please contact Lois Zielinski at lzielinski@auctioneers.org to request the button for online promotions or to ask questions. Just because people know about you and your auction company doesn’t necessarily mean they’ll want to use your services. Marketing or branding is more about emotions than awareness, says Scott Deming, professional speaker, consultant and author. “It’s an emotional connection a person has with another person or with an entire organization based on an experience — based on a one-of-a-kind, relevant, emotional … experience,” Deming continued during his keynote presentation, “Managing Change and Your Brand for Sustainable Success,” at Conference and Show on July 18 in Spokane, Wash.
Branding, he says, is not just about coming up with creative ideas and marketing campaigns. Because they’re in the people business, Auctioneers must emotionally engage buyers and sellers — making them raving fans of their businesses. He recommends that auction professionals focus on what people feel about them, not on what they think about them. Companies such as Starbucks Coffee Co. and Harley-Davidson make people feel important, and they focus on relationships and experiences as opposed to the products they sell. Auction professionals should follow those models, Deming says. “You know what we remember? We remember powerful moments: good ones, bad ones. All you get is that one moment … make that moment an experience no one will ever forget,” he says. In addition, he says today’s business leaders are innovators who must understand and embrace change. They inspire and empower their employees not to fear the outcome of the unknown, but rather to get excited about making progress. Also during the Opening Session, National Auctioneers Foundation President Benny Fisher, CAI, led National Auctioneers Association members in a 12×12 initiative designed to provide members with an easy, affordable way to give back to the auction industry. The program encourages individual members to give $12 per month, or $144 annually. Fisher says a tax-deductible, $12 donation once a month for a year will help the NAA improve its educational programming. Members who attended the Opening Session pledged more than $35,000 through the program. The National Auctioneers Association is continuing its commitment to the life-saving mission of St. Jude Children’s Research Hospital with a new pledge to raise half a million dollars over five years to support the hospital’s Postdoctoral Fellowship Program. The association’s dedication to funding the Postdoctoral Fellowship Program will help St. Jude train the next generation of its scientific and medical minds. Fellows from more than 31 countries work diligently in the program, supporting the bridge between research and treatment and helping St. Jude to speed discoveries from its laboratories to patients’ bedsides and doctors and researchers everywhere. The fellows are major contributors to the scientific and clinical mission of the hospital. “Members of the National Auctioneers Association take great pride in supporting St. Jude,” says NAA President Christie King, CAI, AARE, BAS. “For more than 15 years, Auctioneers have promoted St. Jude to their customers and have raised millions of dollars to help the hospital continue to expand its important work and research. Since partnering with St. Jude in 1995, NAA members have made a difference in the lives of children fighting cancer and other deadly diseases through their support of St. Jude. The association’s Auction for Hope program has raised more than half a million dollars since 2006 to help St. Jude provide the research and treatment that is saving the lives of children in communities everywhere. The nation’s top Auctioneers also bring the high energy of a live auction to the hospital with the association’s annual Toy Auction that takes place each November. During the auction, St. Jude patients and their siblings enjoy the excitement of “bidding” on toys donated by members of the association. The NAA’s commitment to St. Jude is supporting one of the world’s premier centers for the research and treatment of childhood cancer and other deadly diseases. That support also helps ensure that, true to the vision of St. Jude founder Danny Thomas, no family ever pays St. Jude for anything. And because St. Jude freely shares its discoveries with doctors and scientists everywhere, one child saved at St. Jude means thousands saved around the world. Those efficiencies, he says, come mainly from the proper implementation of technology, which ultimately maximizes profitability for his company. And Rasmus, of Rasmus Asset Advisors, Alexandria, Va., says he plans to share his knowledge and some of his firm’s best practices with Certified Auctioneers Institute students in March. The NAA plans CAI 2012 on March 18-22 on the campus of Indiana University in Bloomington, Ind. CAI Next, an intensive training program exclusively for CAI graduates, is scheduled for March 18-20. During his “Technology” course, Rasmus says he plans to share with CAI students how social media, cloud-based computing and other technologies can increase income, improve marketing and boost auction attendance. Another CAI trainer, Forres Meadows, CAI, ATS, BAS, also plans to focus on technology during his “Online-Only Auctions” course. Meadows says his training session will likely open the minds of CAI students to new possibilities available on the Internet. He emphasizes that all auction professionals, including those who don’t conduct online sales, will benefit from his course because a lot of it focuses on advanced marketing practices. Go here to sign up for CAI and to learn more about the programs. If you plan to attend the 63rd International Auctioneers Conference and Show in Spokane, Wash., on July 17-21 at the Spokane Convention Center, you’ll find there’s almost as much to do outside the conference as there is at the show itself. Downtown Spokane is packed with attractions within walking distance of the two conference hotels — the DoubleTree and the Red Lion at the Park. “We have a very walkable, safe downtown,” says Dana Haynes, Communications Director for Visit Spokane. From the hotels, you can easily walk to at least 60 restaurants and 14 wine-tasting rooms, she says. Both hotels are on the banks of the cascading Spokane River, which flows through downtown Spokane. You can enjoy a relaxing walk through the paved Centennial Trail along the riverbank or take the SkyRide over Spokane Falls. At 100-acre Riverfront Park, just a few steps from the hotels, you can ride on the 100-year-old Looff carousel or visit the I-Max Theater. Spokane is a major shopping hub, with a large downtown mall and numerous boutiques, Haynes says. And the city has a vibrant arts scene with a performing arts center and the Northwest Museum of Arts and Culture, where the “really fascinating” Smithsonian Dig It! The Secrets of Soil exhibit will be on display, Haynes says. Hikers can walk along the 37-mile Centennial Trail, which stretches from Riverfront Park into Idaho. And Riverside State Park’s hiking and biking trails are within 10 minutes of downtown. If you’re an amusement aficionado, consider the Silverwood theme park, just north of Coeur d’Alene, Idaho, less than 50 miles from Spokane. It’s billed as the Pacific Northwest’s largest theme park and has more than 65 rides and attractions, with three roller coasters, including a vintage wooden ride and a water park, Haynes says. Spokane is known for its superb wines, and guided tours are available of the 20 wineries in the region. The weather should be just right during Conference and Show. The average high temperature during July is a comfortable 83 degrees. The hotels are only a 10- to 15-minute drive from Spokane International Airport. Both hotels have courtesy shuttles available. A cab ride downtown costs about $20. The airport is served by several major airlines, including Alaska, Delta, Frontier, Southwest, United and U.S. Airways. It has eight restaurants, free Wi-Fi and eight on-site rental car companies, says Todd Woodard, the airport’s Director of Business Development and Public Affairs. To make your stay extra enjoyable, a couple of Northwest Auctioneers are planning some special activities for visiting National Auctioneers Association members. At the Welcome Party, attendees will be treated to a Pacific Northwest barbecue. Merle Booker, CAI, GPPA, of Booker Auction Co., Eltopia, Wash., and some of his agricultural clients, including Easterday Farms, Brad Boersma Farms and Sunny Farms, plan to treat visitors to some “Pacific Northwest hospitality” in the form of barbecued beef, lamb and pork along with a few surprises, Booker says. He’s also planning a tasting event with wines from three or four local wineries. And some top-notch entertainment has been called in. Scott Musser, CAI, BAS, of Musser Bros. Inc., Pasco, Wash., has booked an appearance by the Chris Ward Band. The six-piece group specializes in classic country and classic rock and plans to perform at the Welcome Party barbecue. Booker also is working on some additional activities for later in the week. He hopes to arrange a visit to Spokane’s DAA Northwest auto auction, and he’s planning a trip on the Snake River through Hell’s Canyon, North America’s deepest river gorge, on Sunday afternoon after Conference and Show. “It’s a very historic, wild and scenic river,” he says. Musser says golfers will enjoy playing a round on the Coeur d’Alene Golf Course with its famous floating green. There should be even more to do in Spokane than there was at Conference and Show in Boise, Idaho, Booker says. “I’m excited about my auction family coming to see me,” he says. Plus, Don’t miss your opportunity to win BIG prizes and learn about the auction industry’s latest products and services during this year’s trade show. The Conference and Show schedule features trade show time that does not compete with educational sessions, providing every attendee an opportunity to visit with vendors and participate in prize drawings. Similar to the past two years, prize drawings will again take place every day on the trade show floor. There will be several drawings Wednesday and Thursday beginning at 4:45 p.m. On Friday, prizes ranging in value from $100 to $500 will be drawn about every 15 minutes, from 10:30 a.m. to 1 p.m.
Conference and Show registrants who stay at one of the event’s two host hotels, the Red Lion at the Park or the DoubleTree, will receive $45 in complimentary lunch vouchers. The vouchers are available only to Full Pack and Supersaver 1 registrants. Check out the full story from the January 2012 Auctioneer magazine. Search for flights that allow you to cash in miles and points. There are many ways real estate auction professionals could be leaving money on the table. And the Real Estate Auction Summit on Feb. 7-8 in Atlanta might be one of the best resources for learning how to get it back. Two well-known real estate trainers plan to discuss how to build successful, long-term relationships, how to properly use the latest technologies and how to increase sales and performance. Verl Workman, technology and sales guru, says his presentations will provide auction professionals with the knowledge that they’re not alone — the tools, processes and people are out there to help them achieve at the highest levels. Workman, known as the “Freaking Sales Animal,” has experience as a small business owner, entrepreneur and corporate executive. He’s a real estate sales expert who also specializes in marketing, self-promotion, management and technology. 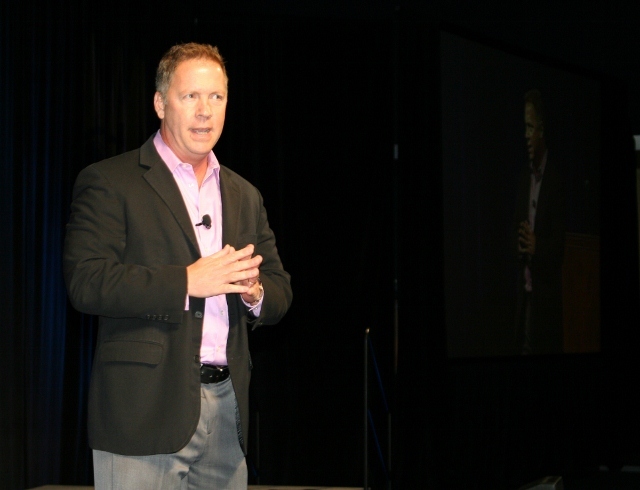 He is co-founder of Pinnacle Quest Consulting and Automation Quest, a company sold to homes.com in 1999. Workman also has experience in online real estate auctions. A lot of people, Workman says, use technology just because it’s available, and that’s not the correct approach. Instead, salespeople should focus on practical applications of new technologies and ways in which they can maximize return on investment. In his presentations, he plans to recommend software and web-based technologies, particularly those available through cloud computing, that will help auction professionals improve sales in a difficult real estate market. Salespeople, he says, place too much focus on miscellaneous tasks within their businesses, and the most important part of their jobs — selling real estate — often gets the smallest percentage of attention. Like other entrepreneurs, he says auction professionals get bogged down in paperwork and spend too much time on $15 an hour tasks when they should be working for $1,000 an hour. He recommends that business owners rely more on assistants, virtual assistants and technology to take care of various tasks on which they could be losing money. At the Real Estate Auction Summit, he plans to share best practices for making this happen. His humorous, hands-on presentations will help auction professionals learn how to create value for their clients and drive people to respond favorably to their messaging, he says. He plans to present practical marketing tactics that will keep clients engaged on an ongoing basis. Engagement is a key topic for the summit’s other featured trainer, Terri Murphy, e-communications strategist and entrepreneur. A real estate veteran with 28 years of experience, Murphy is a consultant to the National Association of Realtors and an author who recently penned a book with Donald Trump. She is a contributor for many national publications, and she has appeared as a guest on several national television news programs. Murphy is Chief Information Officer for U.S. Learning Inc. and President of Terri Murphy Communications Inc.
She’s a proponent of creating long-term, meaningful strategic partnerships through the use of electronic communications. During her Real Estate Auction Summit presentation, she says she will present auction professionals with a matrix that provides step-by-step instruction on identifying, engaging and creating relationships with new clients. Online social networks can help salespeople build the trust necessary to foster current and future relationships; however, it’s still about people doing business with people, she says. Therefore, it’s essential business owners understand that a simple Internet presence on social networks such as Facebook, Twitter and LinkedIn is not enough. Salespeople must be active online, and they must know how to use these tools effectively. Content, including video, must be relevant in order to create rich relationships with clients and increase profits. Murphy recommends marketing and editorial content with a purpose — auction professionals must convince social media followers to check back with them on a regular basis. Then, using several social media tools, clients should all be invited to a central location: a blog-based website at which the “party,” as she calls it, is occurring. At this site, auction professionals should serve as expert resources that provide concise and relevant information, such as tips for buying or selling a home at auction in a turbulent market. She says she plans to offer summit attendees resources and best practices for making the most of their social media efforts. Her training sessions will include examples of real-world success stories, actionable ideas and instruction on communications strategies. Murphy compares the opportunities in the auction market to those that retailers have during the holiday shopping season, in particular Black Friday. In addition to presentations from Workman and Murphy, the Real Estate Auction Summit program includes panel discussions with some of the auction industry’s top real estate professionals. This session will help auction professionals better understand how to balance the demands of real estate businesses while they manage information technology at the same time. • J. Craig King, CAI, AARE, of J.P. King Auction Co. Inc., Gadsden, Ala.
• R.D. Schrader II, CAI, of Schrader Real Estate & Auction Co. Inc., Columbia City, Ind. • Max Spann Jr., CAI, of Max Spann Real Estate & Auction Co., Clinton, N.J.
J.J. Dower, CAI, AARE, is the new Vice President of the National Auctioneers Association. In a contest that required two run-off elections, Dower received 302 votes in the final round of voting during the NAA’s annual election July 14. 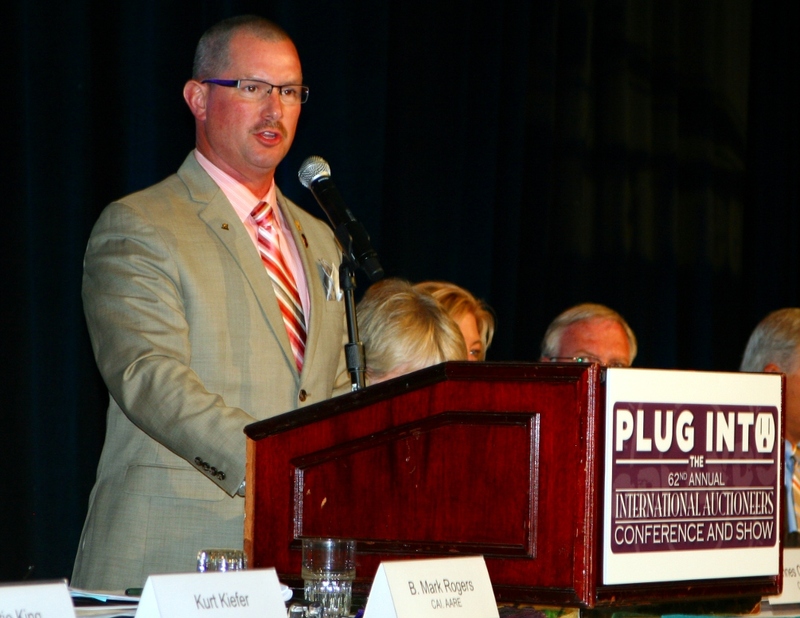 Paul C. Behr, CAI, BAS, of the World Wide College of Auctioneering Inc., Mason City, Iowa, received 248 votes. Before the vote, Dower, of Ayers Auction & Realty, MarkNet Alliance Member, LaFollette, Tenn., told members one of his goals would be to help control the costs of Conference and Show. He says he would like to recruit more members, and, more importantly, retain them. Quality educational programs, including online training, also are priorities, he says. “We, as leaders, must define who we are and what member benefits and services we better can provide in order to keep members,” he says. Auctioneers also must embrace change, he says, and prepare for economic fluctuations. “I will work to give you, as NAA members, the tools and resources you desire and require to grow your business in this unique time in history,” he says. Also during the election, NAA Auctioneers selected two new Directors. Jimmie Dean Coffey, CAI, AARE, BAS, CES, GPPA, of United Country ― Coffey Realty & Auction, Bloomington, Ind., had 367 votes, and Rich Schur, CAI, BAS, GPPA, of Schur Success Auction & Appraisal Inc., Colorado Springs, Colo., had 327 votes. Coffey says he plans to collaborate with the auction industry’s young professionals and continue to help the NAA improve upon technology and communications. Schur says he is thrilled about the auction industry’s future. “We’re going to have to rethink, reshape, reclassify … Now is the time for me to step in and truly make a difference using my experience as an Auctioneer and my previous business experience,” he says. The election took place during the NAA and National Auctioneers Foundation’s Annual Business Meeting. The NAF accepted the entire slate of leaders for its 2011-2012 Board of Trustees. Randy Ruhter of Ruhter Auction & Realty Inc., Hastings, Neb., is Vice President, and the NAF’s new Trustees are Marvin Henderson of JAH Enterprises Inc., Henderson Auctions, Livingston, La. ; Sherman Hostetter Jr., CAI, AARE, CES, GPPA, of Hostetter Auctioneers, Beaver Falls, Pa.; and Homer Nicholson, AARE, CES, of Nicholson Auction & Real Estate, Ponca City, Okla. In addition to the elections, NAA Auctioneers announced during the meeting that members helped raise $55,696 in support of the association during its July 13 Fun Auction. A heads and tails game during the event earned more than $4,100.